Arcoroc dinnerware is from the Arcoroc brand owned by Arc International. This company produces and distributes tableware in over 160 countries with their main office located in France. The Arcoroc brand, launched in 1963, features dinnerware, drink ware and flatware designed for professionals in catering and commercial restaurants. This restaurant dinnerware is commonly called "The Professional's Choice". Lucky for us, this high-quality, durable, functional, and stylish French dinnerware is also made available to consumers who are or are not considered "professionals". 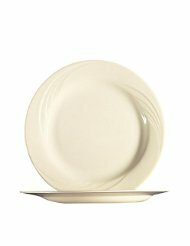 Personally, I like this restaurant dinnerware brand because it is practical, durable and simple, but elegant. It is easy to accessorize to create professional one of kind table settings. Arcoroc makes many types of dinnerware with several patterns. They hold a big market of clear glass dinnerware and colored glass dinnerware, and their dessert dishes are amazing. Of course they produce porcelain dishes as well. You will also find Arcoroc glassware and Arcoroc flatware to be appealing to your table settings. Some of the most popular patterns by Arcoroc include Canterbury, Fleur, and Pink Swirl. They also make some fabulous fish shaped dishes that are great for serving family dinners and for spicing up the table during dinner parties. Arcoroc ruby and cobalt glassware are also appealing. The Seebreeze pattern of glassware is quite original as is the Aspen pattern. 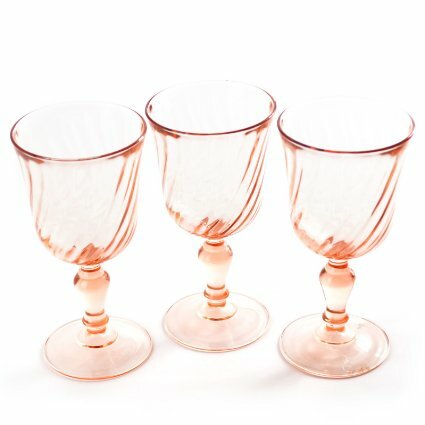 Over the years, I have collected a lot of pink glassware from the Arcoroc brand. The pieces are very elegant and durable and the glassware matches my depression glass perfectly. The vintage dinnerware choices by Arcoroc are pretty amazing. Whether you like culinary whiteware dishes or glass dinnerware sets, the Arcoroc brand is worth looking into. The patterned clear glassware is quite attractive and the colored glass dinnerware is very appealing. The availability of glassware and flatware makes the offer of Arcoroc selections complete. The dinnerware choices remind of experiences in glamorous restaurants that use clear glass or culinary whiteware to serve their aesthetic dishes. The colored glass dinnerware is very fancy and unexpected for homemade meals. What I love about the patterns is that they make it simple to mix and match glassware for creative table settings. 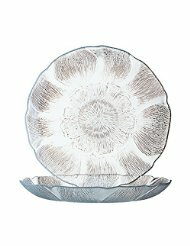 I can visualize a table set with leaf shaped glass dinnerware in the Aspen pattern accessorized with forest green or pink glassware for a summer party, or amber glass for autumn celebrations. A mixture of ruby and forest green glassware accompanying the crystal clear Christmas Holly Tree dinner and dessert plates would be perfect for a unique Christmas dinnerware setting. Learn about culinary arts dinnerware and why it is a favorite of chefs. From the brand to the style, it has many advantages. 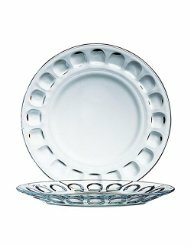 If you are looking for a perfect dinnerware set, Cuisinart dinnerware is worth looking into. With over 40 years of providing inventive kitchen solutions, this is a company you can rely on. If you have heard about Coventry dinnerware but are not sure what it is, or if you are searching for it, you will find this information to be useful.